Yet another Tupac hoodie in our collection. A true rap icon and founder of the game. Tupac had everything. 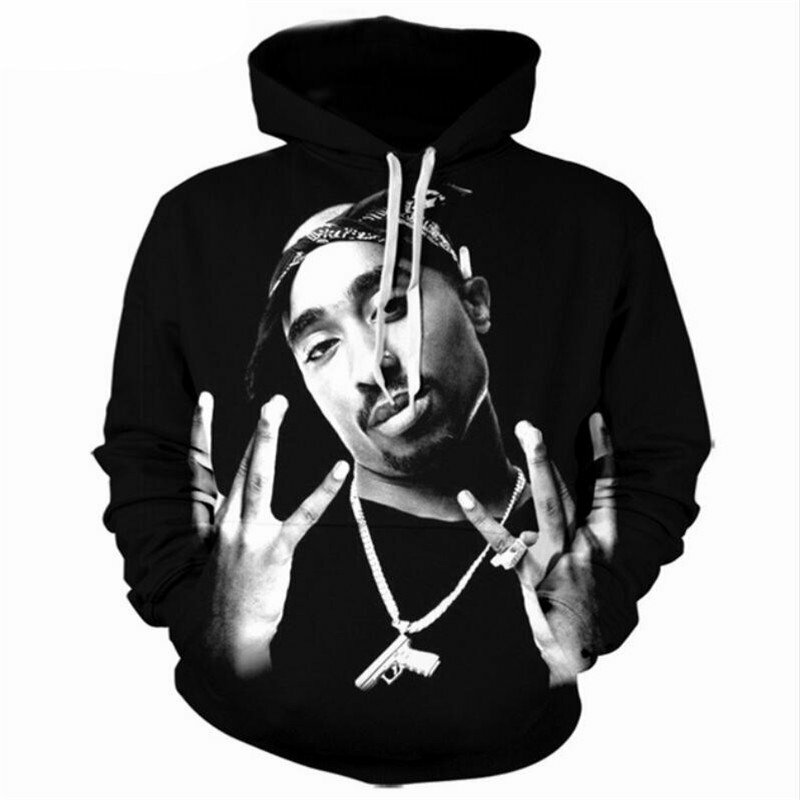 This Tupac West Side Hoodie shows him throwing up gang signs with a gun necklace around his neck. The hoodie itself is black and the image of Tupac is grayscaled. The hoodie is comfortable to wear, looks fashionable and is wearable anywhere. It was designed for both male and female.